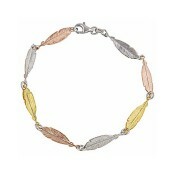 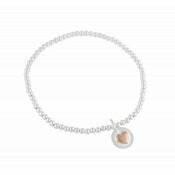 Chic and fashionable, this silver chain bracelet is an ideal option for all ages. 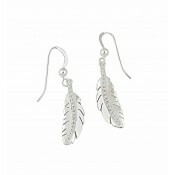 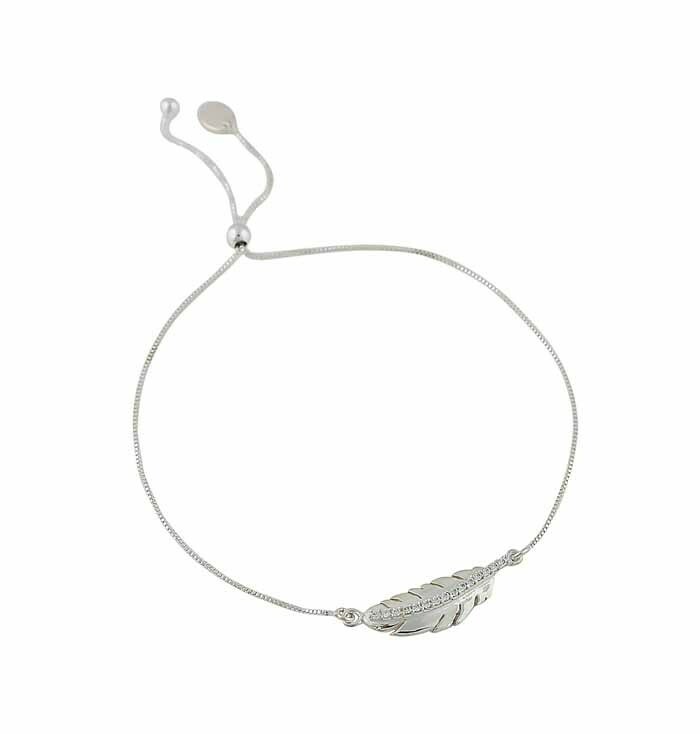 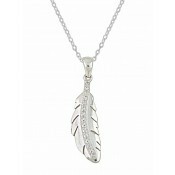 Sitting comfortably around the wrist and adjusting easily for security, it features a single feather charm at the front. 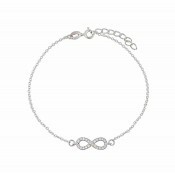 Studded with a line of clear cubic zirconia this piece can be worn to any event with ease.